Cyber crimes are dangerous. Not just because of the devastating effects, it might have on your life, but also because statistics show that the mass majority of society don’t yet fully understand the nature of cyber crimes. In the past two decades, the world has seen a rise in cyber crimes with more and more hackers becoming even smarter by the day. The digital landscape has changed, with old Wild West Style grab’n run robberies on the low, and invisible hacking crimes on the rise. Needless to say, their best weapon is technology and the playground is the internet. Due to the rise in the increase of online platforms for financial and personal services, hackers are more inclined to the internet because it is an easier and faster way to get access to your financial accounts. Within no time, your account will be wiped out clean without leaving a trace. It is rather scary but it happens. 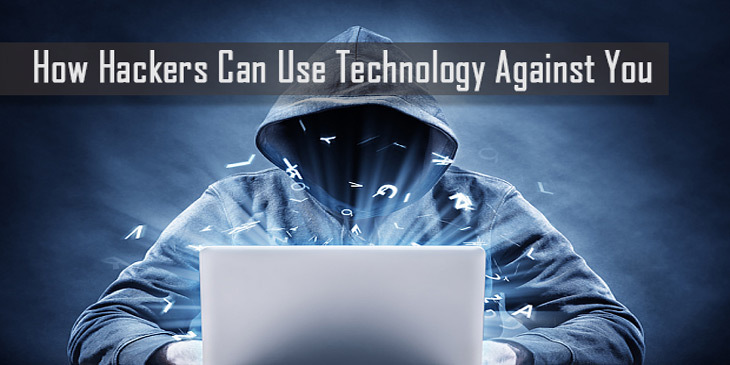 Even though security firms have developed more complex programs to fight this crime, it is always a matter of time before the hackers infiltrate the security protocol which means the security firms will have to update their software. Basically, it is a game of cat and mouse. But how do these criminals use high tech against you? How Can Cyber Criminals Steal Your Private Data and Info? Well, the first thing to keep in mind is that these cybercriminals are highly knowledgeable about what they do. There are hundreds of different coding languages, each with its own different purpose and skill level, hackers are normally well versed in coding skills. They are masters of manipulating algorithms to suit their needs. That is exactly what they do to software. It is basically like lying to the software to perform a different task for them without the administrator ever knowing. Just like any other professionals, cyber thieves are highly disciplined. Maybe, that is the reason why they attain a lot of success in getting their targets and covering their tracks. Just because they are social misfits, doesn’t mean that they are not well disciplined to organize themselves. First of all, their communication channels are clearly stipulated by them in order to prevent any trace back to them. They use the dark web to communicate which is hard for any ordinary person, even the authorities to get in. Unlike other people, hackers and cybercriminals regularly change their passwords in order to evade the authorities. Cybercriminals are well aware that they are being watched by the authorities. In order to shirk capture, they organize themselves in an exquisite way. A good example is they are cloning your credit cards. They create devices that obtain information from close proximity to the victim. It is maybe ten to twenty meters from where they are and it’s enough distance that anyone cannot see them. So, you will not have an idea that you are being robbed. Being organized is another reason that the authorities can not catch them. It is even harder for the authorities to know their names or have their pictures. They are literally ghosts stealing from people without them ever knowing. It is of great importance to know the means and ways used by these criminals when stealing. It is also important to study and know how their minds work, as to counter whatever they are planning. Unless you become more familiar with the above measures, you will never beat cyber criminals. It is important for everyone to practice the basic concepts of protecting their accounts. As technology and the internet more involved in human life more cyber crimes happening day by day. Remember 2014 biggest internet hack in which the giant companies like Sony Pictures and eBay’s private data was hacked. Companies reveal that they have lost millions of users personal data such as identity, credit card numbers, etc. So, while using the internet for purchasing something or else, please take necessary safety precautions to keep yourself safe from being hacked.